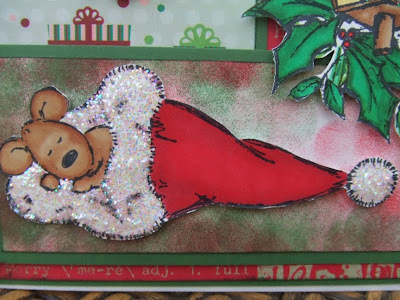 What gorgeous cards we had for our 'Home For The Holidays' theme last week! It's such a wonderful experience just looking at all your creations - I am picking up so many tips :o) Thank you to everyone who joined in with our challenge! Both images this week are from Elzybells and have been coloured with Promarkers. All products used are from Stampin' Up! unless otherwise stated. Aw, lovely cute sleepy mousey! Teri this card is just adorable. I love it! Your cupcake card is cute too. That image is perfect! Hey Teri, I absolutely love this card. I would like to be that little cute mouse and live in that house!!!!!!!!! 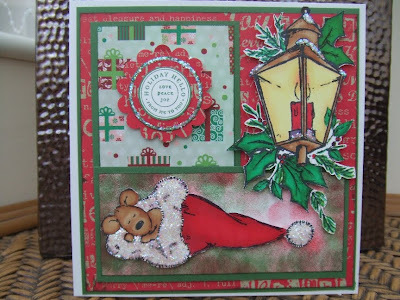 What a cute card Teri, I love this image - what a fab place to take a nap!!! Gorgeous, gorgeous card!!! Absolutely beautiful Teri!! I adore that cute stamp, and your lamp is divine! !